Target Sports USA is an online ammunition store that specializes in selling bulk ammo online with free shipping. Target Sports USA is located in Connecticut and that is where all of our ammo is shipped from. We do not drop-ship any ammunition from other Ammo Distributors. If you are a frequent shooter and buy ammo online a lot, Target Sports USA offers a PAM (Prime Ammo Membership) program as well. The main benefits of the PAM is that for one low annual fee you will get free shipping on ammo, regardless of much much or how little you buy. That way, you can buy small amounts of ammo for testing and still get free shipping. Second benefit of PAM, is that it allows you to buy ammo at a wholesale level, and if you purchase 3-4 times per year it will pay for itself. 1. Target Sports USA offers free shipping on bulk ammo. 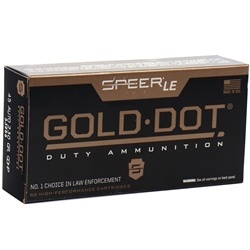 Buy any case of ammo, receive free shipping all the time, no coupons needed. 2. Not only do we give you free shipping on bulk ammo, we ship fast too. 99% of all orders leave within 48 hours. 3. Live Inventory System, We like to think its pretty accurate. 4. Competitive prices on ammo across the board. Our profit margins are lowest in the industry. 5. Easy to deal with. Call us, text us, email us, chat with us, or if you live nearby stop by in person and say hello. Our goal at Target Sports USA is to provide the Best Products in the industry, offer it to our loyal clients at a Great Price, whilst maintaining even Better Service, and build long lasting Awesome Relationships with our clients. Our #1 Goal at Target Sports USA is to provide our loyal customers with great products, with awesome customers service and make the online ammo buying experience easy and satisfying. Please click here to read our up to date reviews and comments at Target Sports USA.com! Target Sports USA is an online ammunition store that specializes in selling bulk ammo online with free shipping. Target Sports USA is located in Connecticut and that is where all of our ammo is being shipped from. We do not drop-ship any ammunition from other Ammo Distributors.